It’s already September! 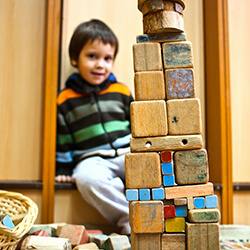 Your little one has been in preschool for a little while now, and it seems like kindergarten is still light years away for them. 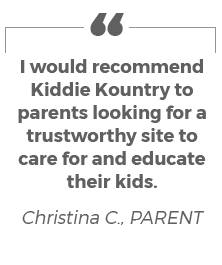 While it may seem as such, the truth is that there’s always room and time to help prepare your child for kindergarten readiness. 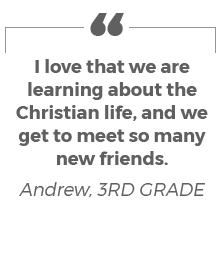 This is essential in helping them succeed, not only in their first years at school, but in their academic career — and even life as a whole. 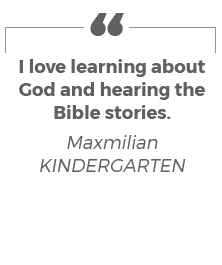 Our first kindergarten readiness blog talked about giving children opportunities for practice, identifying academic milestones, and teaching fundamentals in a biblical and Christian-based mindset. Today, we’ll address a few more ways in which you can help your child get ready for kindergarten — though these are skills that could be applied for virtually any student going through a new transition. See how to prepare your young one for kindergarten, and enroll with our private school in San Jose today. When your child is about to go to kindergarten, they’ll likely be at a new school from their preschool, which can be understandably scary. You can help eliminate some of the anxiousness by doing a run-through of the school with them before they begin. See if you can set up a time to walk through the school (most administrators will be more than happy to accommodate, or will already have a “Meet the Teacher” night in place). Make sure to visit the playground afterwards! Set bedtimes. Figure out an appropriate bedtime for your child during the school year, and begin setting it and practicing it as summer starts winding down. Schedule eating. When your kindergartener is in school, they’re not going to be able to grab a snack whenever they want one — practice having lunch, breakfast, and snacks around the same time every day. Time routines. Spend a morning seeing how long it takes your child to get ready for school, and figure out if that amount of time needs adjusting. Then, start planning their wake-up time to best accommodate how long it will take to get ready in the morning. A 5-year-old needs between 10 and 13 hours of sleep each night. If that doesn’t happen, you (or your child’s teacher) won’t just have a cranky kindergartener on their hands — your child’s overall growth and development can be affected. Plus, anyone who doesn’t get enough sleep knows how challenging new transitions and busy days can be. Adults and kids alike aren’t always able to better manage their emotions when not getting enough sleep — if your kindergartener isn’t catching enough Zs, they’ll likely have a harder time coping with a new school year than if they got their 10-13 hours. Summer is a time of ice cream in all its forms, as well as other sweet treats that can be found and bought at pools, zoos, and everywhere in between. As tasty as these treats can be, they’re not going to promote the emotional and physical wellness that your kindergartener needs to be prepared for the school year. Make sure that you’re starting to emphasize a well-balanced diet, well before that first school bell rings. 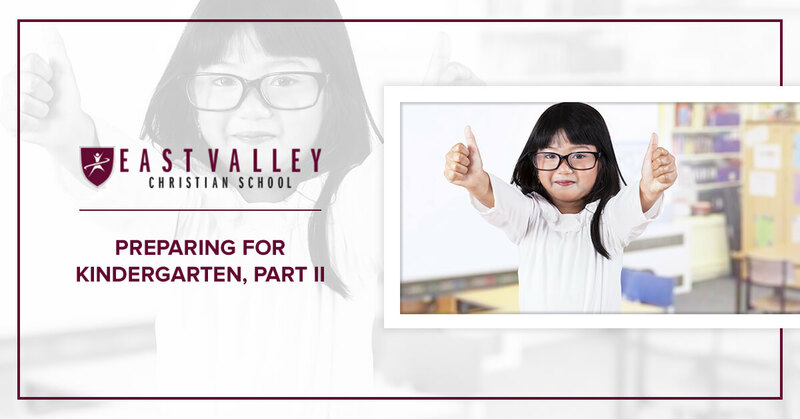 For as nerve-wracking as kindergarten can be, it is an overall amazing experience that you and your child will truly cherish, especially when you enroll them with East Valley Christian School in San Jose. 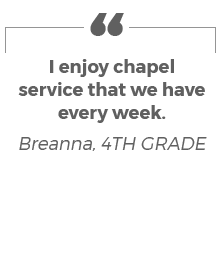 Contact our private school for any questions, or to begin the enrollment process!